Magicians and mystics from more than a century ago had tremendous influence on both occultism and contemporary Paganism. Number 2 in a series of brief looks at esoteric history and practical magic. The Hermetic Order of the Golden Dawn was an influential magical lodge whose heyday spanned the last years of the 19th and the early years of the 20th centuries. Many famous people of the period such as the poet W.B. Yeats, actress Florence Farr, A. E. Waite, the controversial Aleister Crowley, and others were members of HOGD and its various descendants and offshoots. Members of the Golden Dawn entered at the Neophyte grade (0=0) and progressed through additional grades (up to 10=10) as the result of study and merit. Each member had a mentor who was only one grade above them, because they believed that once you got too far along in your occult studies, you wouldn’t be able to explain things in a way that a beginner could understand. 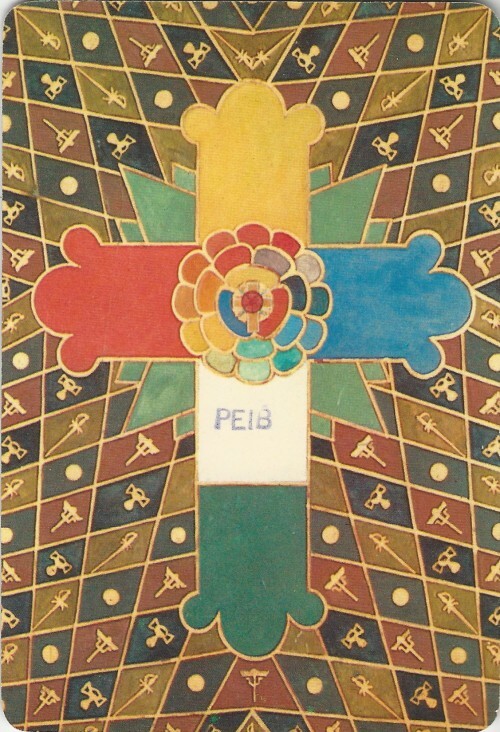 The numbers of the grades relate to positions on the Tree of Life, a diagram from the Qabalah, a system of Jewish mysticism which influenced Western esotericism as early as the 16th century. HOGD was deeply influenced by the Qabalah and other traditional aspects of Western occultism, classic occult texts such as the Key of Solomon, the Enochian system of John Dee, and writings of early 19th century occultists such as Frances Barrett and Eliphas Levi. Tarot was part of the Golden Dawn curriculum, although it was studied as a tool for inner development not for divination. 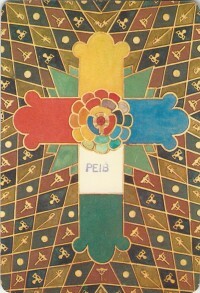 Members drew their own decks using the Order’s symbolism. In 1910, Arthur Edward (A.E.) Waite collaborated with Pamela Colman Smith to produce a Tarot deck to his specifications. The deck, published by the Rider Company and known since as the Rider Waite, has influenced modern Tarot profoundly right up to today. Near the end of his life, Aleister Crowley also collaborated to produce a deck, with artist Lady Frieda Harris, but it was not published until 1969, almost two decades after his death. His Thoth deck differs, in some ways radically, from the Rider Waite, and is highly prized by many occultist. Although the Golden Dawn’s teaching documents and rituals were considered secret and only available to members—and members of the appropriate grade at that—mid-20th century, many of the documents, practices and rituals of HOGD were published by Israel Regardie, who was once Aleister Crowley’s secretary and an initiate of a Golden Dawn offshoot. The National Library of Ireland holds W.B. Yeats’s HOGD journals and has exhibited them. Golden Dawn ideas and rituals strongly influenced magical and occult/religious practices all through the 20th century, and still in the 21st. Many groups claim to be direct descendants of the original HOGD, but there is much dispute over this. Sadly, I am not qualified to judge which of those claims are valid. This entry was posted in Pagan Stuff and tagged ceremonial magic, Did you know, Golden Dawn, occult history. Bookmark the permalink.